A Philadelphia resident claims he filmed a strange glittering tumbling object floating over the Tioga neighborhood. It looked like a mass of foam or a strange translucent blimp. 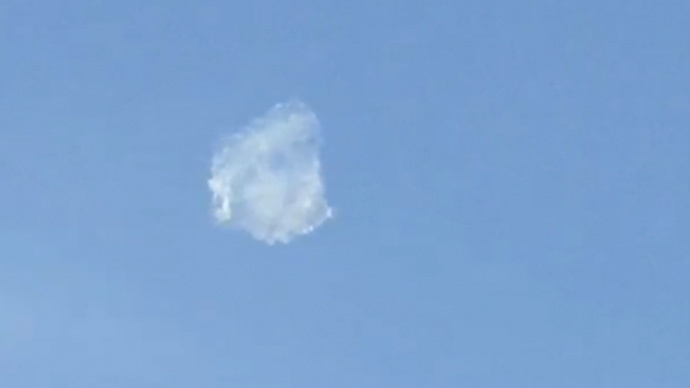 Hector Garcia says he caught the phenomenon on his cellphone on July 5, he told WTXF FOX 29 News. "As soon as I started recording, it starts to move and come down," Garcia said. "As I zoomed in on it, it starts to swerve and starts going to the side, and I'm still looking at it and I don't know what it is. I was shocked." The video, which may be a clever CGI hoax, has scored over a million views on YouTube. Among the explanations of the strange view, a big plastic bag, soap suds or a really weird cloud were suggested.